Userlist.io is an automation tool for sending behavior-based messages to your SaaS users. It’s great for onboarding users and nurturing them throughout their journey. 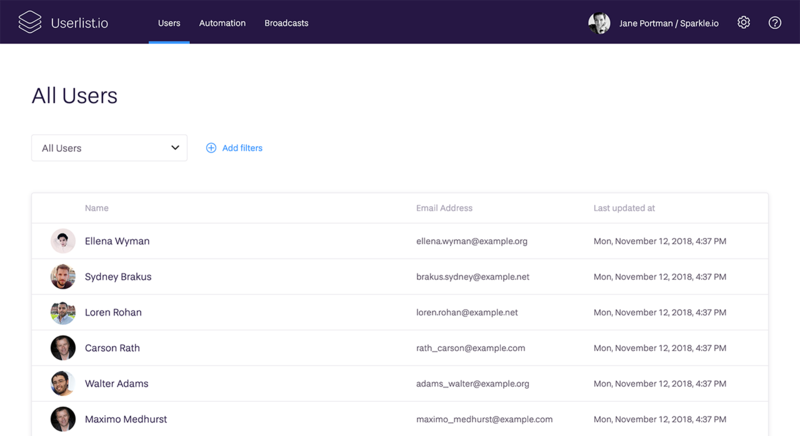 In addition, Userlist.io allows you to see who your users are, segment them, and see what they’re doing. To integrate Userlist in your application, you can either use one of the libraries we provide for various programming languages and frameworks, or use our Push API directly. Using Segment removes the need to directly integrate Userlist.io into your application. 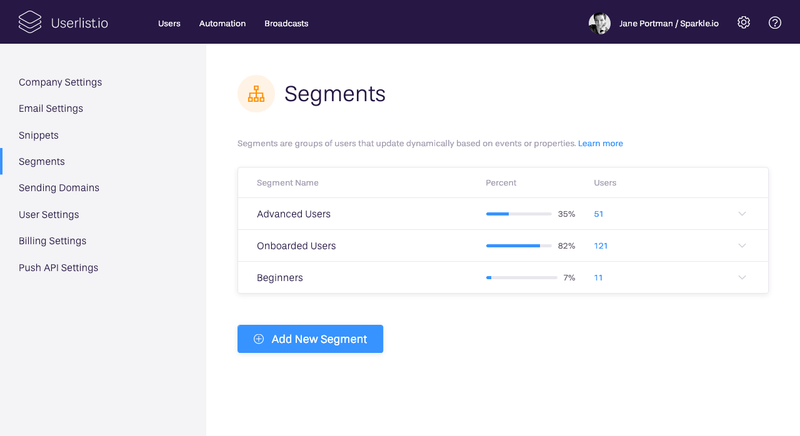 Instead of setting up a custom integration via our HTTP API, you can start sending your data from Segment in a few clicks (literally zero development time required). As a result, you can track behavior data from multiple other services inside Userlist. Now our powerful automation features are at your instant disposal! 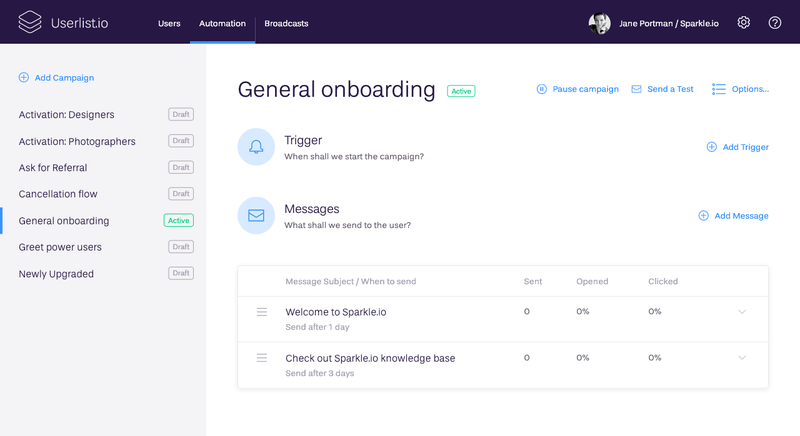 You’ll be able to view user activity, segment your users, and start sending behavior-based campaigns in no time.